Join us this week as we welcome Country/Rock/Pop music singer songwriter, Christie Lamb. Hailing from Sydney, NSW, AU., Christie has been described as the ‘full package’, a vibrant multi-instrumental singer-songwriter, bringing a fresh, contemporary stamp to Country Music with her own distinct style of Country-Rock. 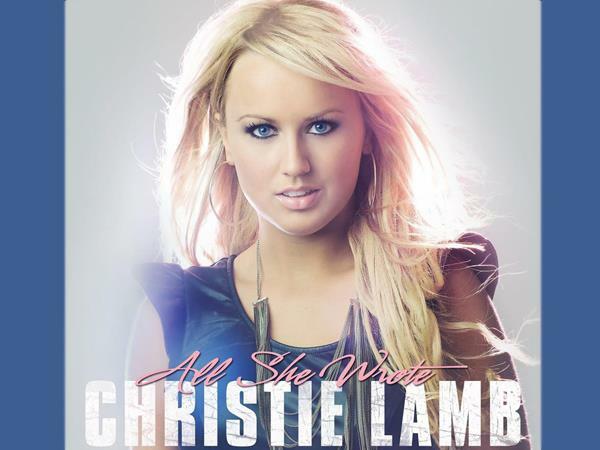 A finalist in the CMAA Golden Guitar Awards for ‘Best New Talent’ 2015, with multiple hit singles to her credit, Christie has gained critical recognition and With the release of her debut album ‘All She Wrote’ Christie undeniably announced her presence on the Australian Country Music scene. Following a sold out album launch in Sydney, Christie’s album hit #1 on the Aria Hit Seekers Album Chart (All Genres) and #2 on the ARIA Australian Artist Country Chart. The four subsequent single releases to radio spurned two #1 hit singles and two top 5 hit singles; ‘Wish You Were A Cowboy’ retained the #1 spot for five weeks, whilst ‘All She Wrote’ also hit #1 for 3 weeks. ‘Manhunt’ hit #3, and ‘Love Me Tonight’ hit top 5 on Australian Country Radio. All of the singles also made top 10 on The Music Network Chart, with ‘All She Wrote’ reaching the top 5. This sassy young lady's win with her track ‘Love Me Tonight’ at the APRA supported Songs Alive Australia Song Comp for ‘Pop Song of The Year’. We will talk to Christie about her upcoming schedule, get a behind the scenes look at her music, feature her latest songs, and ask her to share her message for the troops. Please be sure to visit Christie Lamb at http://www.christielamb.com/ and spread the word. As always we will give shout outs to our deployed military listeners. Be sure to join us, Sunday 9/20/2015 at 4 PM EDT! Our message to the troops: WE do what we do, because YOU do what you do.